The company's security arm had previously been its fastest growing sector. 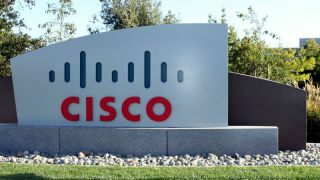 Cisco failed to meet analysts' expectations in terms of its quarterly revenue which has raised concerns over its transition from a hardware vendor to a more software focused company. Legacy technology firms such as Cisco have been looking for other areas to focus on as its traditional business of manufacturing routers and switches has struggled in recent years. The company has instead shifted its focus to high-growth areas such as security, cloud computing and the Internet of Things in an effort to remain relevant. Cisco's security business has been its fastest growing sector up until the last two quarters when growth began to slow. Its revenue growth declined to three per cent during the fourth quarter which is a significant drop from 16 per cent a year earlier. Switches and routers are Cisco's two biggest businesses and they have both seen a decline in sales due to decreased demand from enterprise customers and telecoms. Revenue produced by each of these two businesses failed to meet analysts' expectations as they both fell by nine per cent during the quarter. Security business revenue came to $558 million though this was short of the $580.5 million that analysts had estimated. Cisco's overall revenue was also down for the seventh straight quarter but the company was still able to bring in $12.13 billion in revenue.